Matthew began his music studies at age 5, after hearing Itzhak Perlman perform on the children’s television show, “Sesame Street.” After studying with several esteemed artist teachers, including Michael Ludwig and Elissa Lee Koljonen, he entered the Eastman School of Music, where he frequently led the Eastman Orchestras as Concertmaster. He earned degrees from the Eastman School of Music (BM, MM), where he served as teaching assistant to the world renowned violinist and teacher, Charles Castleman. Matthew is the lead violinist in Camerata San Antonio, a grammy-nominated chamber music group in San Antonio, founded by Ken and Emily Freudigman, leading players in the San Antonio Symphony. With Camerata, Matthew performs upwards of 4-5 contrasting chamber music programs every year. He leads the San Antonio Sinfonietta as concertmaster. Formerly the asst. 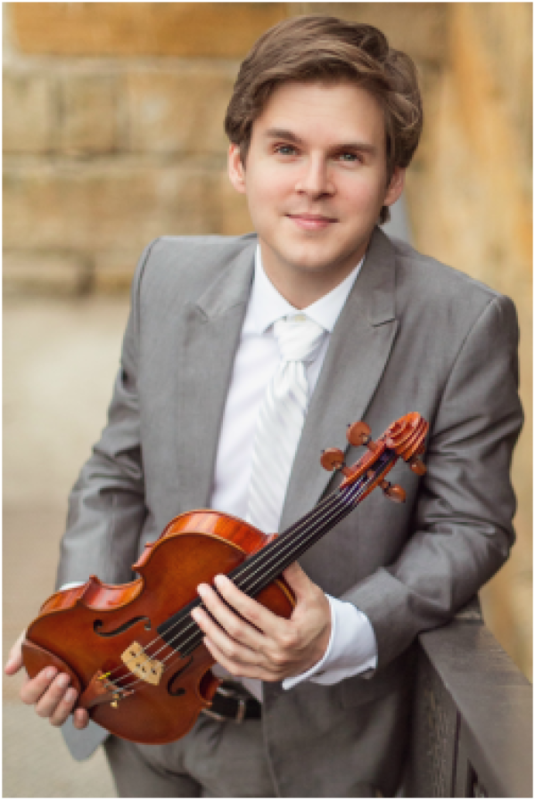 Concertmaster of the San Antonio Symphony, Matthew teaches violin full time in San Antonio. His students frequently gain entrance into the TMEA all-state orchestra and pursue music degrees at competitive colleges and conservatories. Matthew is director of the Cadenza Academy of San Antonio. He’s organized violin masterclasses with top San Antonio teachers at San Antonio’s Steinway Gallery, as well as open recitals for area students. As part of this project, Matthew has developed new resources for beginning students in private and group lessons: “Violin Songs and Hand Shapes.” He does frequent pedagogy research and posts to his teaching blog. In San Antonio, Matthew has been active in a wide variety of projects. He premiered Arthur Williford’s contemporary Violin Sonata in San Antonio. He’s performed major concertos with San Antonio Sinfonietta, UIW Orchestra, and Youth Orchestras of San Antonio. He’s been a course director for a music and medicine course, “Patient Notes,” at UTHSCSA. He recorded the lead violin parts for “Upon the Awful Tree,” an independent film with an original score by Matt Dunne.